When it comes to correcting vision, there is no shortage of treatments available. Eyeglasses and contact lenses are the tried and true method of correcting visual acuity problems, and corrective surgeries like LASIK and cataract surgery have gotten more popular over the years as the technologies have improved and the results wowed. But unfortunately, not all cases of visual impairment are fully correctable. Low vision is the term used to describe a significant visual impairment that cannot be fully corrected. Not to be confused with blindness, low vision describes a best-corrected visual acuity (BVCA) of 20/70 or worse. (A BVCA of 20/200 is considered legally blind.) 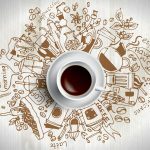 Although most cases of low vision cannot be fully corrected, there are a number of steps that can be taken to help sufferers cope. This includes using visual aids like telescopic glasses, magnifying glasses and light-filtering lenses. 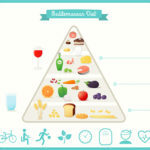 As is often the case with health management, prevention is the best form of treatment. Although low vision cannot always be prevented, the first step in prevention is understanding what causes the condition. 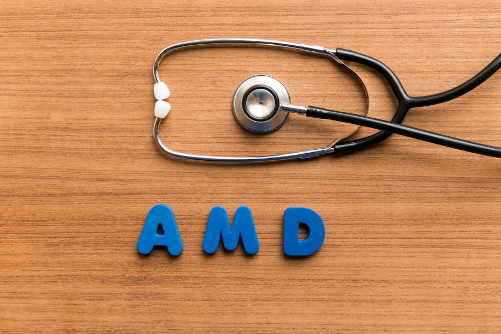 Also called AMD or ARMD, macular degeneration is an age-related condition associated with deterioration of the macula, causing blurred vision. AMD is the leading cause of blindness in people over the age of 65. AMD can be diagnosed as dry or wet, with the latter being the rarer, and considerably more serious. There are no FDA-approved treatments for dry AMD. The progression of wet AMD can be slowed through drug therapy used in conjunction with photodynamic therapy (PDT) which helps slow the unnatural growth of blood vessels in the macula. Glaucoma is a group of eye disorders affecting more than 200,000 Americans every year. In most cases, abnormally elevated intraocular pressure damages the optic nerve — responsible for transmitting what the eye sees to the brain — causing loss of peripheral vision and potential blindness over time. There are two major types of glaucoma: open-angle glaucoma and narrow-angle glaucoma. It can often be asymptomatic in the early stages, making it difficult to diagnose without regular vision checkups. In fact, nearly half of all Americans with glaucoma don’t even know they’ve got it. 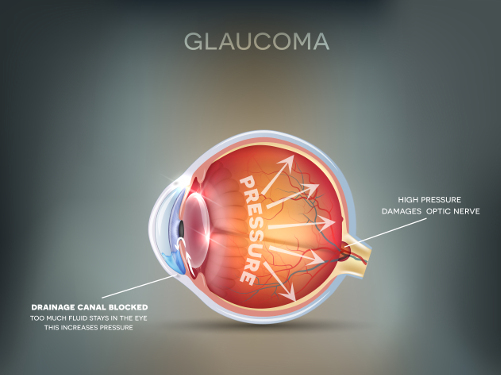 Glaucoma is the second leading cause of blindness worldwide, though it can be treatable with eye drops designed to lower intraocular pressure, surgery or additional medication. A cataract is a clouding of the lens of the eye causing blurred vision and other visual acuity issues. It’s essentially like seeing life through a brownish fogged window for cataract sufferers. 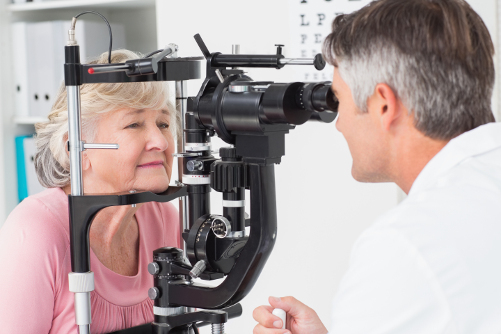 Most cases of cataracts are age related — in fact, if you live long enough you will eventually develop cataracts — but congenital cataracts can present from birth. Cataracts can also be caused by eye trauma. 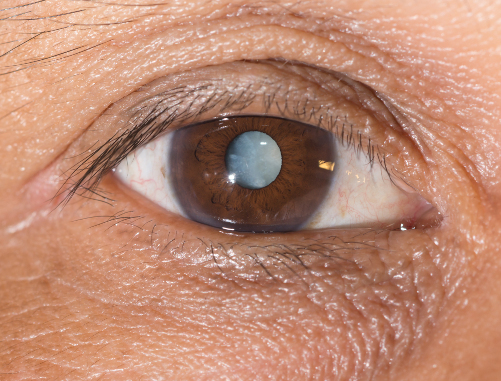 This condition causes irreversible damage to the lens, but can be treated easily with surgery, replacing the natural lens of the eye with an intraocular lens (IOL) alternative. 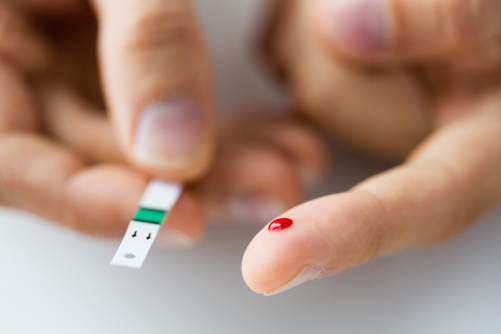 Diabetic patients are at risk of clouded or blurred vision caused by an eye condition called diabetic retinopathy. Diabetes has a direct effect on blood vessel health, increasing the risk of disease or damage to organs that have a lot of blood vessels. The eye is home to the most intricate network of blood vessels in the body, making it susceptible to diabetic retinopathy. Abnormal blood vessel growth and/or leaking can cause the retina to swell, which in turn causes the low vision problems. Fortunately there are a number of treatments for diabetic retinopathy, including laser treatments and vitrectomy. 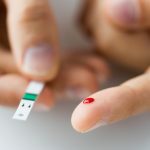 Mild cases of diabetic retinopathy can often be controlled by simply managing the underlying diabetes. 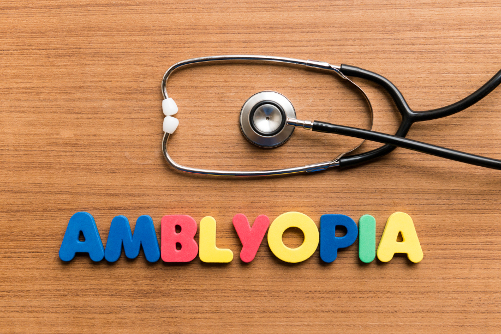 More commonly referred to as “lazy eye,” amblyopia is a condition marked by a reduction of visual acuity in one eye caused by a disconnect between the eye and the brain (in rare cases amblyopia can affect both eyes). It often presents at a young age, making it difficult to identify. Fortunately a simple screening test can be used to determine whether or not amblyopia is present. If amblyopia is diagnosed early enough, it can be corrected. However, if amblyopia goes unnoticed, it can result in severe visual impairment and legal blindness. Although low vision is typically associated with some sort of eye disease or disorder, it can also occur as a result of ocular trauma. Physical damage to the eye can be severe enough to permanently alter vision. But it’s not the only eye trauma that can result in low vision. 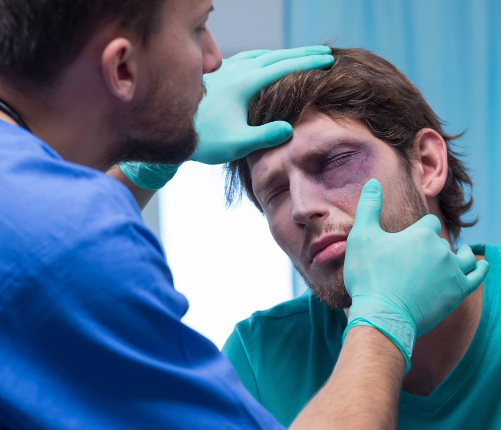 Head injuries causing traumatic brain injury (TBI) can impact field of vision, contrast sensitivity, visual acuity, depth of vision problems and more. Vision loss can also develop as a result of stroke if the occipital lobe is injured. Also referred to as RP, retinitis pigmentosa is an eye disease that damages the rods and cones of the retina located in the back of the eye. Sufferers experience diminished peripheral and night vision as a result of rod damage, and to a lesser extent, diminished color vision as a result of cone damage. 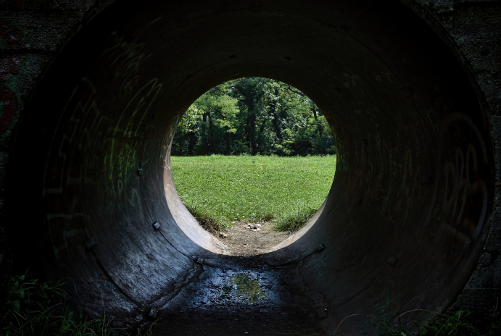 As the disease progresses, sufferers experience tunnel vision in which they can only see objects directly ahead of them. Although RP is not correctible, the good news is that the associated vision impairment typically takes a long time to progress. 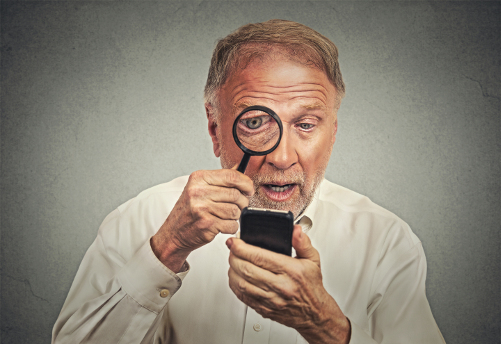 In addition to low vision, there are a number of other eye conditions that can cause uncorrectable vision loss; but not to the extent that it falls below the 20/70 low vision threshold. Conditions that typically cause a milder variety of uncorrectable vision loss are keratoconus, corneal scarring, and irregular astigmatism. Better Vision Guide will provide more information about these in coming articles.